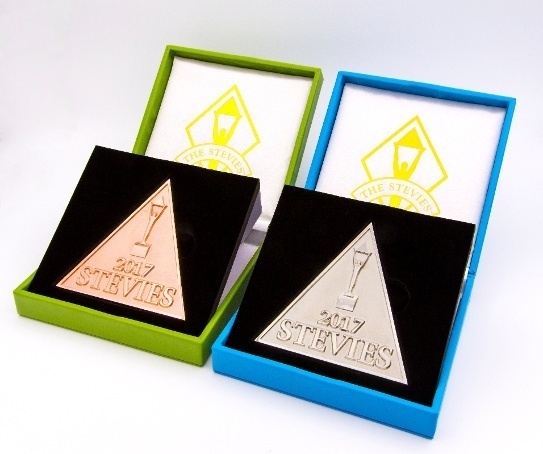 We're pleased to share with you the first photographs of the Silver and Bronze Stevie® medals that will be presented to Silver and Bronze Stevie winners in all of our 2017 competitions. Evocative of the crystal pyramid held aloft by the Stevie trophy, the medals are triangular, as were the 2016 medals. The awards are distinguished from the 2016 versions by the shades of blue and green used, respectively, on the Silver and Bronze medal boxes. 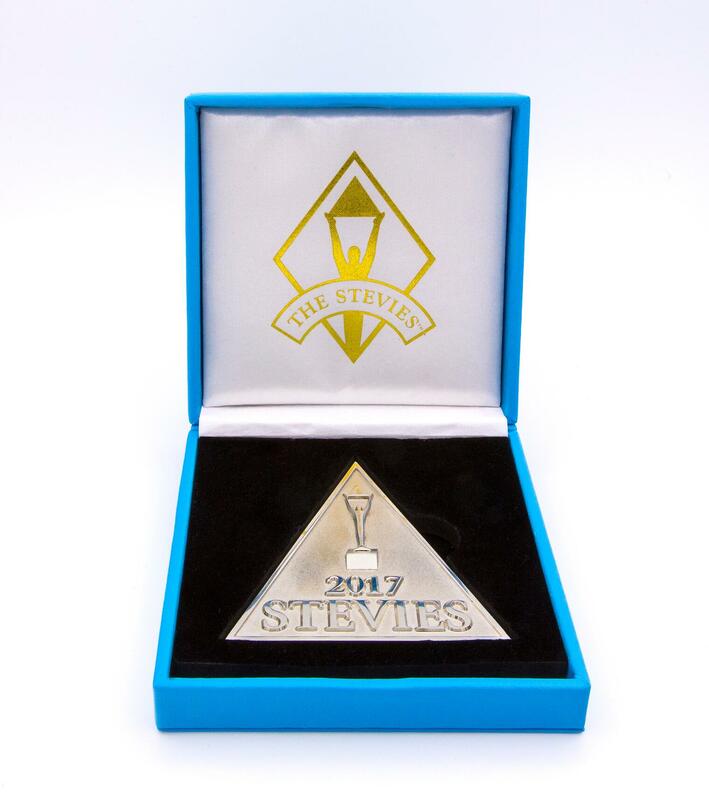 The medals will first be presented to Silver and Bronze Stevie winners at the 11th annual Stevie Awards for Sales & Customer Service in Las Vegas on Friday, February 24. As in the past, Silver and Bronze Stevie winners will automatically receive one medal. 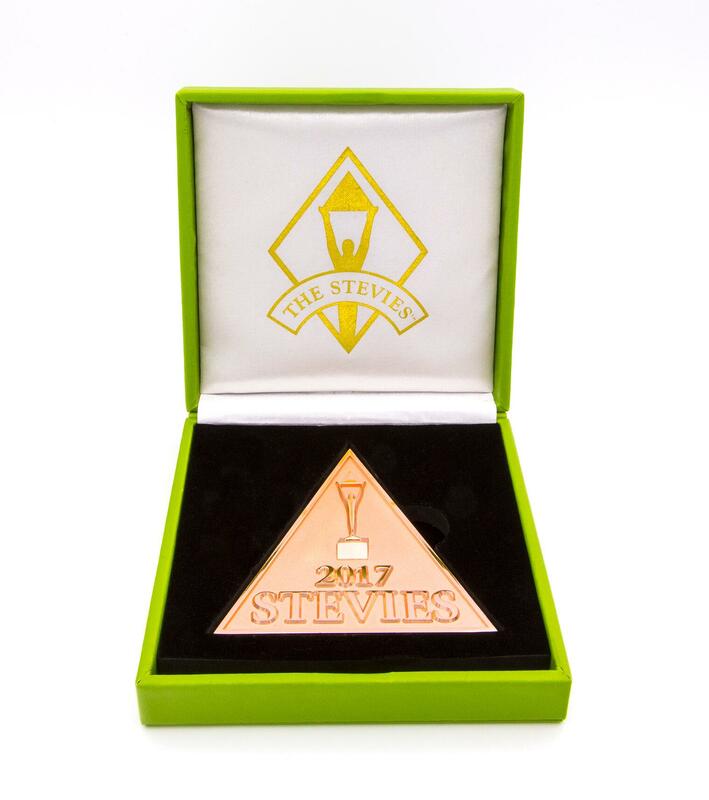 They'll have the option to purchase additional medals, or corresponding Silver or Bronze Stevie Award trophies, through the Stevie Awards Store.